The body is pretty amazing. Cuts and other wounds can happen for lots of different reasons; you could trip and fall or have a more serious accident. Luckily, the body is well equipped to seal up a wound and heal it quite quickly. When our layer of skin is broken, a few very important steps occur that help to keep out harmful bacteria and build a new layer of skin. The first thing that happens when the skin is penetrated is that you bleed. Normally, the blood cells stick together and form clots quite quickly, within the range of seconds to minutes. A type of blood cell called a platelet and a protein called fibrin help to form the clots and keep them in place. The clots form an initial layer that keeps more blood from being lost. Once they dry, these clots turn into scabs. The body needs to seal up the wound as soon as possible, because the skin exists to keep germs out and without a protective layer, bacteria can come in and cause infections. The stages of wound healing. Image credits: OpenStax College. Next, any bacteria at the site are taken care of and the healing process begins. At this point, the wound is initially inflamed and the surrounding skin can be warm to the touch and red. The blood vessels open up a bit again and deliver much-needed oxygen and nutrients to the wound. The white blood cell called a macrophage steps in to tackle any unwanted bacteria and produce growth factors that help to repair the wound. At this point, a clear fluid can often be seen on or around the wound that help to clean the area. After dead cells and bacteria are taken care of, the macrophages leave. This step is important because inflammation that lasts too long is a sign that the healing process isn’t going so smoothly. This stage takes two to five days on average. After the initial swelling, the tissue starts to get rebuilt underneath the scab. More blood cells come to the scene to build new tissue. Collagen — tough white fiber– is built first, as a result of chemical signals, and it serves as a framework on which other tissues can be built. Broken blood vessels also need to be repaired. Granulation tissue fills the wound and skin tissue forms on top of it. It starts forming at the edges and works its way to the center. When the skin below it is ready, the scab sloughs off on its own. A deep cut can take three to six weeks to heal. When the scab comes off, new scar tissue underneath is revealed. Scar tissue is different from skin tissue in that it doesn’t contain sweat glands or hair follicles. It can still be a bit tender and reddish at first, but it strengthens over time. It takes about three months for the scar tissue to become as strong as normal skin and a few years to heal completely. Superficial wounds usually heal without a scar, while permanent scars are more likely with deeper wounds, though they do fade over time. It is important to keep wounds clean and covered to help with the healing process. 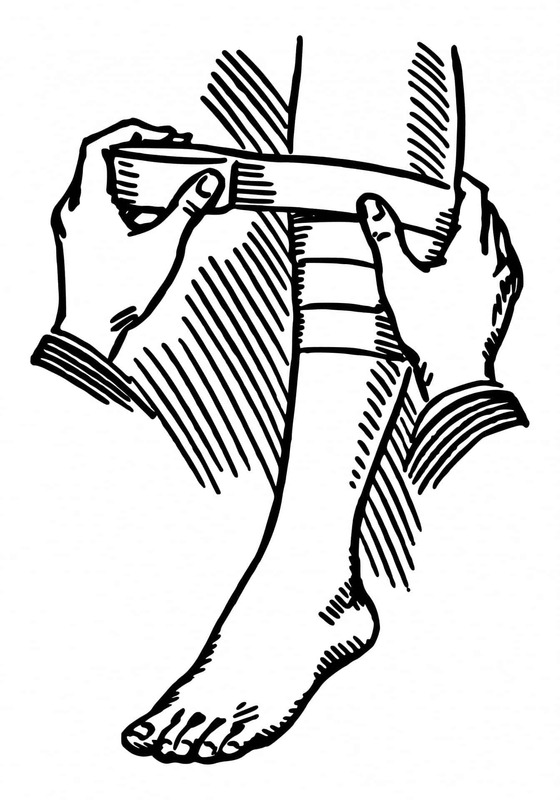 Minor wounds should be washed with water and covered with sterile gauze or a bandage. Major wounds should be treated with a doctor’s advice. It’s is important to make sure that a wound is well covered. Image credits: Public Domain Pictures. Usually the healing process goes smoothly, especially if you take care of it well. However, there are cases where it doesn’t go as well as wished. If a wound doesn’t have adequate blood supply then it doesn’t receive the ingredients that it needs to heal, namely oxygen and nutrients. It can take twice as long or even longer to heal. It can take longer for the wounds of elderly people, and people with diabetes, high blood pressure, obesity, and other vascular diseases to heal. Stress, smoking, certain medicines, and heavy alcohol drinking can also interfere with wound healing. There are some warning signs that a wound isn’t healing properly that include pus and a fever, which could mean that it is infected. In this case, it is important to see a doctor. The wound healing process allows us to be active and survive life’s little accidents by regenerating our largest organ.